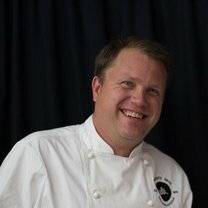 Erik Lowe is the chef/co-owner of Maybeck's. 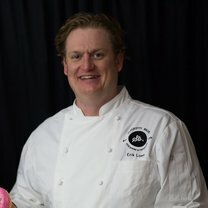 A native of Salt Lake City, Utah, he began his culinary career by way of the Pacific Northwest. Ever since he was a boy, he and his family have visited relatives in Washington State where he learned to fish for Dungeness crab and taste water to table cooking for the first time. 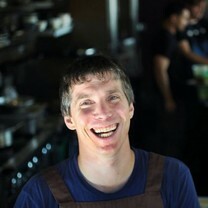 At Maybeck's, he create comfortable American cuisine with an open minded approach. "The seeded rye bread is so good. I always pick up a load when I'm getting my car washed." "This salad is one of the dirtiest, in a good way, things I've ever eaten." "Chicken for two, oysters, and Bandol rosé. The combination is a classic"
"We had one of the best meals of 2017 tonight...Trust me when I say this! @#sanfrancisco must for everyone." "Today's warm weather in SF has me dreaming of the white sesame ice cream at last week's Purveyor Dinner @#thejapanesepantry"
"Mac & Cheese and Chili Verde at Maybeck's in the Marina for Sunday Brunch🧀 🥚🌶sooo good! @maybeckssf"